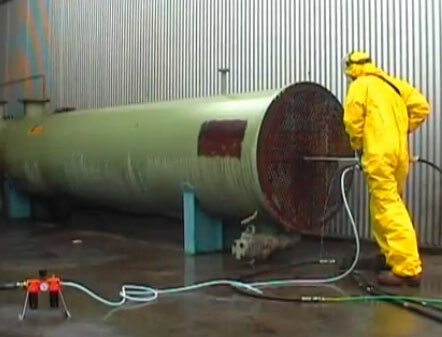 High Pressure cleaning of heat exchangers has never been this easy and safe! Excellent cleaning results due to consistent speed and front and back cleaning. The weight is only 8,5 kg (19 pounds) and pays for itself immediately because it greatly increases both productivity and operator safety. The operator uses the 1-LTC by positioning the nozzle end against the tube to be cleaned. 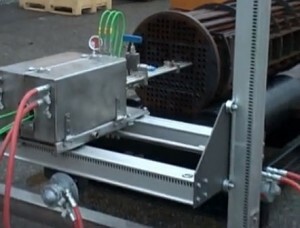 The operator manipulates the simple controls to retract or extend the high pressure hose, at the appropriate speed, into the tube while applying water pressure.